Fiercely committed to the principles of quality, integrity, safety and value, the professional staff at Prairie Technology leads the industry in the design and manufacture of the best day cab conversion kits in the marketplace today. 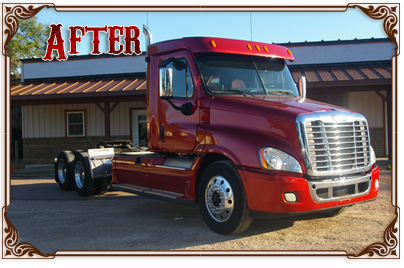 With dozens of highly trained and certified shops throughout the US and Canada, sleeper trucks of nearly every make and model are converted every day with Prairie Tech kits into custom day cabs and vocational trucks for our diverse customer base. At the center of our design protocol is the fundamental issue of safety. No amount of design aesthetics or quality method of manufacture can overcome a conversion kit that is not structurally sound and safe for the end user. 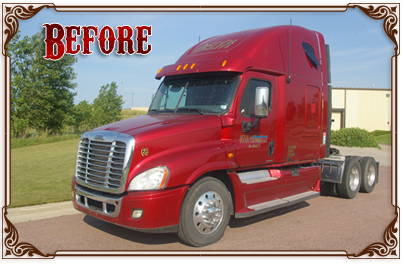 At Prairie Technology, we will not sell a product nor convert a truck that we would not feel comfortable driving ourselves. The straight forward motto of “Success by Design” is the driving force behind the innovation, design, R&D, and manufacturing prowess of Prairie Technology. Our product line of kits and accessories offer ease of fit, structural and design integrity, and superior product quality at an affordable price. We measure our success in terms of customer satisfaction and product excellence. When you choose a Prairie Tech product or service, we are confident that you will be very satisfied with your decision. We look forward to sharing our success with you!